Square Enix has uploaded the first English trailer for Romancing SaGa 2‘s new smartphone makeover for iOS and Android. Originally released in 1993, the game never made it overseas, but we’re in luck with the updated version — it’ll be coming overseas soon. We’ve got a bunch of new details about the game via an English site update, where we get the lowdown on story, characters, and features as well as new content exclusive to this version of the game. 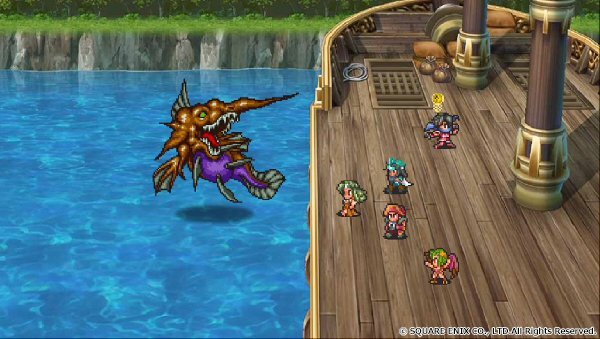 Romancing SaGa 2 is currently announced for release iOS and Android smartphone devices. Leon: Leaders of the Varennes Empire have long been known for their ambition, but none surpass that of Emperor Leon. His leadership and vision united the land in an effort to restore peace to Varennes, but he fell in battle against Kzinssie, one of the seven heroes, in the Varennesian capital of Avalon. Gerard: The second prince of the Varennes Empire, Gerard is more even tempered than both his father Leon and his brother Victor, and makes up for his shortcomings on the field of battle with his insatiable thirst for knowledge. Yet he has no choice but to fight when he succeeds his father and is thrust into a role of responsibility. Glimmers: Using weapons and martial arts in battle occasionally enables the character to learn new techniques. A light bulb will flash over the character’s head when this occurs, indicating a new technique has been mastered and can be freely used from that point forward. Battle Formations: The attributes of characters vary depending on where they are placed within a particular formation, and they may become more or less likely to be targeted by enemy attacks. When someone not of Avalonian blood ascends to the throne, speaking with soldiers at the training grounds may enable him or her to learn new formations. Tempering and Concocting: New spells and techniques may be concocted and weapons tempered, and a university may even be constructed in Avalon itself. These and other such developments promote the growth of the Varennes Empire. Imperial Succession: When the emperor passes on, whether through falling in combat or by the mere passage of time, the player may select a successor to the throne. The new emperor is able to use all the techniques and spells of the previous one. Thus, the royal line becomes stronger over time, and previously unachievable goals slowly come into reach. 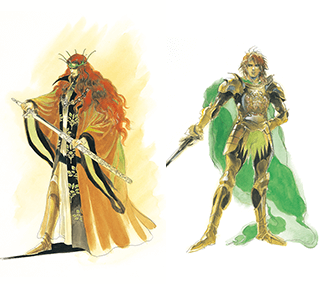 Freeform Scenarios: Romancing SaGa 2 is an RPG with a dynamic freeform scenario system that enables the player to freely explore a variety of tales once the introductory event is over. Time passes and the world changes based on player actions. 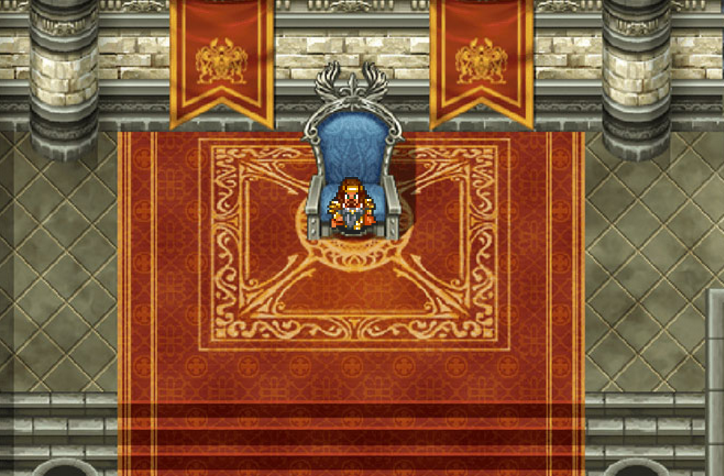 The background graphics of Romancing SaGa 2 have been updated specifically for this release! Enjoy a visually pleasing experience as you explore a narrative just as compelling as it was in 1993. Certain battles now contain special animations, adding a dramatic flair to heated combat! Original Dungeons: Four new dungeons that take a deeper look into the mysteries of the Seven Heroes make an appearance. Obsidian, crimson, azure, and verdant labyrinths lead to new friends and yield exciting battle formations. Yet something even greater lies beyond, shedding insight into the aftermath of a nigh-endless struggle. Avalonian Gardens: Within the Avalonian Gardens a single tree stands tall and proud, the master of all it surveys. As it grows and bears fruit, the wealth of the empire increases, bringing along with it more imperial crowns. New Game+: The New Game+ function reads existing save data and carries over character attributes and items into a brand new game, enabling you to enjoy the story in a much easier fashion than their first play through, perhaps helping you snag items you may have missed or save lands and companions you have had to sacrifice originally.